The FA Cup is the oldest formal football competition on a national level in the world and is now in its 147th year. Despite talk of its downfall in recent years due to the staggering difference in revenue and prize money compared to the Champions League and Premier League it is still hugely revered and love by that nation and the whole world. There are 22 levels within English football and the FA Cup is open to the first ten of these. Over the course of 14 rounds running from August to May, 6 of which are qualifying, 735 matches are played to produce a winner. With so many teams involved (737 in 2018/19) Britain’s bookies love this competition and as a result you can get some of the most valuable betting offers and lowest odds margins for this event. On this page we show you some of the best promotions available as well as where to find the best prices. If you bet on the FA Cup, especially over the course of the competition, you can genuinely enhance returns and reduce loses by utilising some of the long term and short term offers listed below. Further down we give details of fixture, schedules, format, history, stats and more. Have an Each-Way First Goalscorer bet on any match with bet365, and be safe in the knowledge that if your player scores at any time during the game bet365 will pay you out! Each-Way bets are settled on all goalscorers, at 1/3 odds for unlimited places in 90 minutes play. The most popular bet type for punters when it comes to the FA Cup is the accumulator, very few other competitions have so many matches in parallel to bet on. 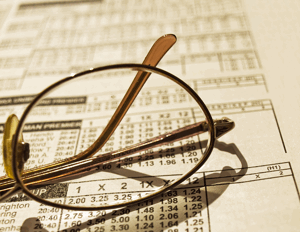 Acca betting promotions are also the most common type of offer from UK bookmakers and therefore if you do place multiples it makes a huge amount of sense to take a bonus or money back offer. There are simply too many acca promotions available to talk about on this page but if you are looking to place a combo bet head over to our accumulator offers pages first by clicking below. In such a competitive industry many betting sites now offer added incentives to keep your customer beyond the initial welcome offer and the odd event-specific money back or free bet deal. 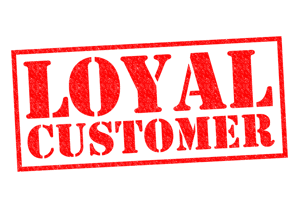 If you bet often and you are looking to get longer term rewards alongside the temporary deals then head over to our loyalty page. We detail the best free bet clubs, loyalty points schemes and free cash prize games that over time, for regular users, could add value. If you are going to bet any way you may as well get something back for it. Full Fixtures will be shown from the third round onward. Later we look at how the FA Cup was played in its early days and how the competition has altered over the years, yet how does it work in practice? Any team that is in the top four levels of English football, so the Premier League, Championship, League One and League Two, automatically qualify for the tournament. 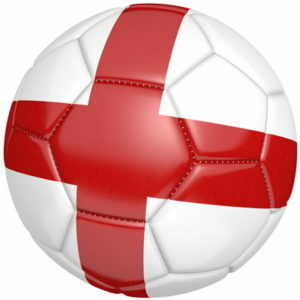 Any side in the next six levels of the English game can participate provided they have competed in any of the FA Cup, the FA Trophy or the FA Vase in the preceding year. Clubs also need to have a suitable stadium to play they matches in. The completion then begins in August, though that’s only for the clubs in Levels eight nine and ten of the footballing pyramid. In September the First and Second Rounds of the qualifying competition get underway, with clubs from Levels seven and six respectively joining in. In the Third and Fourth Rounds, which take place in October, no new clubs enter in the first round and Level five clubs enter in the second. The Competition Proper starts with the First Round in November, which is the point at which League One and League Two clubs join the sides that have made it through qualifying. There are eighty teams playing in the competition at that stage, with forty of them progression to Round Two. Twenty of them move into the Third Round, which is when the Premier League and Championship clubs join the FA Cup and many people feel as though it truly gets underway. Sixty-four teams in total take part in the Third Round, with thirty-two of them advancing to the Fourth Round. That is whittled down to sixteen in time for the Fifth Round, then eight for the Quarter-Finals. The four winning sides then enter the Semi-Finals and the two winning teams head off to Wembley for the Final, which normally takes place after the football season is over in May. In the Preliminary Rounds at the very start of the competition, the draw is regionalised in order to stop non-league sides that don’t necessarily have huge budgets from having to travel too far. 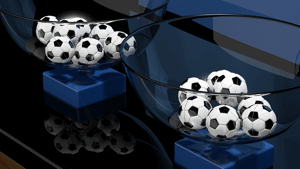 Once the Competition Proper is underway, however, the draw takes place live on television and is done at random. There are no byes offered, nor rules that mean certain teams have to avoid each other as they would in the draw of something like the Champions League. Instead, all teams are entered into the pot and the team drawn out first plays the game at their home stadium – similar to the EFL Cup. A draw takes place before every round of the Competition Proper apart from the Final, which doesn’t need a draw as the teams that will be competing in it are known. Equally, the first name out of the hat plays at home apart from in the Semi-Finals, which are hosted at Wembley. In that instance the team gets to wear its home kit. As well as being able to lift the trophy, which we’ll tell you about in more detail in a moment, FA Cup winners also get to play the following season’s Europa League competition. It doesn’t matter whether the winning side is relegated at the end of the season, as happened with Wigan when they won it in 2013, or aren’t in the top-flight in the first place, the winning team will play in Europe the season after. It used to be the case that the runners-up would get the European place if the winner had already qualified for European competition through their league form, but that stopped being the case in 2015. Now, if the FA Cup winner has already achieved Champions League or Europa League status thanks to their league finish, the extra place in Europe foes to the next-highest placed team in the league that didn’t make it into one of the European tournaments. As well as a place in Europe, FA Cup winners also get invited to take part in the FA Community Shield ahead of the start of the following season. This is a one-off friendly game between the FA Cup winners and the team that won the Premier League and is considered by many to be the curtain-raiser for the campaign ahead. If the FA Cup winner is also the Premier League champion then the honour to participate in the Community Shield is passed on to the team that finished as runners-up in the top-flight instead. As well as a place in Europe, FA Cup winners also get invited to take part in the FA Community Shield ahead of the start of the following season (usually early August). This is a one-off friendly game between the FA Cup winners and the team that won the Premier League and is considered by many to be the curtain-raiser for the campaign ahead. If the FA Cup winner is also the Premier League champion then the honour to participate in the Community Shield is passed on to the team that finished as runners-up in the top-flight instead. 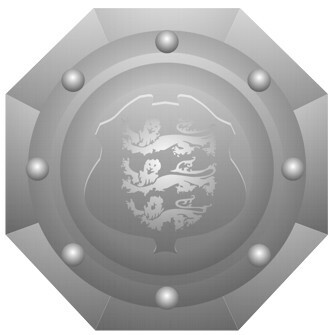 The FA Cup Trophy is actually split into three different parts, which are the trophy itself, its lid and a base. The winners of the tournament get to take the trophy back to their home ground’s trophy cabinet and then return it to the FA by the first of March. The trophy has undergone a slight design change over the years, with the original being just eighteen inches high and earning the nickname of the ‘little tin idol’. It was stolen and never recovered in 1895, resulting in an exact replica being created to replace it. This remained the trophy that the winners would lift until Manchester United won it in 1910 and made a replica for their trophy cabinet. It was at that point that the Football Association realised that they didn’t own the rights of the trophy and so a new one was commissioned. 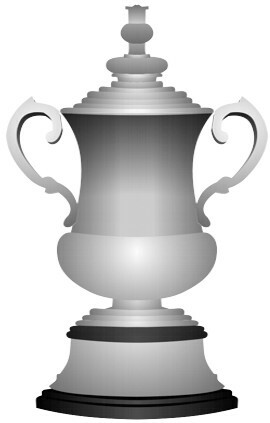 It was designed by Fattorini and Sons and has been the FA Cup since 1911. The winning team has its name engraved on a silver band that runs around the trophy’s base, with the engraving taking place during the game itself. The trophy is presented to the winning captain almost immediately after the full-time whistle, with both winning and losing players receiving a medal. The Football Association Challenge Cup has the honour of being the oldest national football competition still taking place anywhere in the world. Better known simply as the FA Cup, though it has enjoyed numerous sponsors over the years, the tournament takes place every year and is open to any club in the English football league system, all the way down to Level 10. To give you a sense of what that involves for organisers, more than seven hundred and fifty teams applied to take part in it for the 2011-2012 season. To many, the FA Cup is seen as the most exciting cup competition in football. Whilst the likes of the Champions League might hold more prestige, the FA Cup presents a unique challenge to participants and can often see the biggest teams going up against minnows and failing to get past them. That’s because the competition isn’t seeded, even though some clubs enter it later on than others. The teams that will go up against each other in the various rounds are drawn at random, meaning that some clubs can have a relatively easy path to the final whilst others have to take on difficult opposition at every turn. Here’s a look at the FA Cup’s history, some facts about it and, of course, how the tournament works in general. The reason that the The Football Association Challenge Cup was created in the first place has a lot to do with the very rules of football. 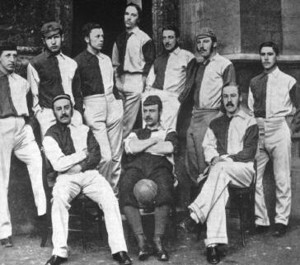 Prior to the formation of the Football Association itself in 1863, different clubs and areas of the country played different rules of the newly burgeoning sport known as football. Some wanted players to be able to pick the ball up, whilst others felt on the goalkeeper should be allowed to do that. Some wanted to be able to run with the ball in their hands, which saw a split between football and what would later become rugby. The rules were all over the show until the production of the Laws of the Game by the FA, outlining exactly what they thought should and shouldn’t be allowed to happen on a football pitch. Though not all of the various associations around England immediately bought into the FA’s new rules, most of them did and in the years that came after the rest followed suit. As a result, more and more teams began to play both formal and informal games against each other. Though the amount of teams playing football grew, there was still no official competition of any note that they were able to compete against each other in order to find out which team was the strongest, yet the clamour for one grew. 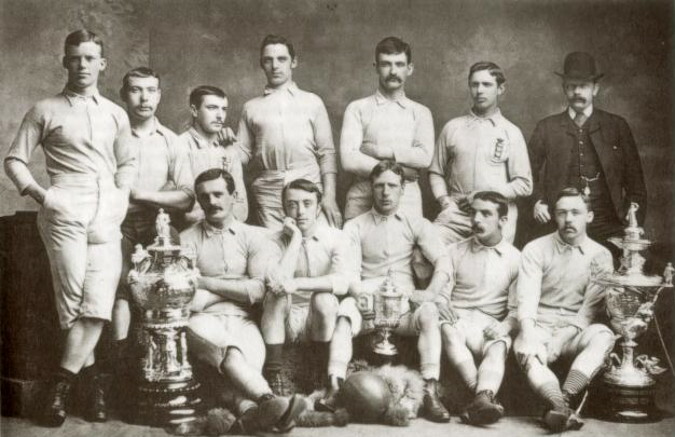 As a result, The Secretary of the Football Association in 1871, C. W. Alcock, suggested when in the offices of the newspaper The Sportsman that there should be a ‘Challenge Cup’ that the clubs belonging to the FA could play in. Given that Alcock was the Secretary of the FA, it is of little surprise that his declaration resulted in an almost immediate response. Consequently, the inaugural version of the FA Cup got underway in November of the same year, though it was nothing like the competition that we know and love today. Just thirteen games in total were played, though the structure wasn’t too dissimilar to how the tournament is played today. Fifteen teams entered the completion and were drawn to play each other, with the exception of the Hampstead Heathens who received a bye. In Round Two, the remaining teams went head-to-head to see who would advance, with the same thing happening in Round Three. Eventually Wanderers went up against Royal Engineers, at the Kennington Oval, with the former winning the match 1-0 in front of around two thousand people. The following year, Wanderers got a bye straight to the final and beat Oxford University in order to retain the trophy. The year after, the FA changed the rules slightly in order to encourage teams to try harder to reach the final. In 1875 the final of the competition between Royal Engineers and Old Etonians finished level and so some extra-time was played. When the teams still couldn’t be separated, it was decided that the game would be replayed three days later. 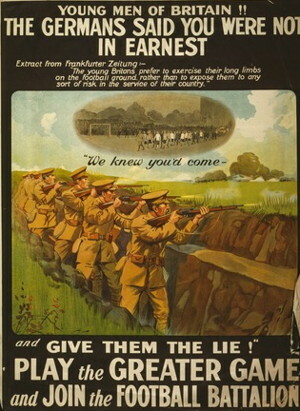 In this replay, Royal Engineers won 2-0. Though there were clearly similarities between the FA Cup as it was back then and the competition that we know today, there were also extreme differences. It started to take on a format more akin to what we know today by the start of the 1888-1889 season, when so many teams were keen to be involved in the tournament that qualifying rounds had to be introduced. Clubs in different regions of the country competed against one another until the most successful one in the competition advanced to to the Fourth Qualifying Round. Interestingly, that was also the first time on record that a ‘giant killing took place’, with non-league Warwick County beating Stoke City 2-1. 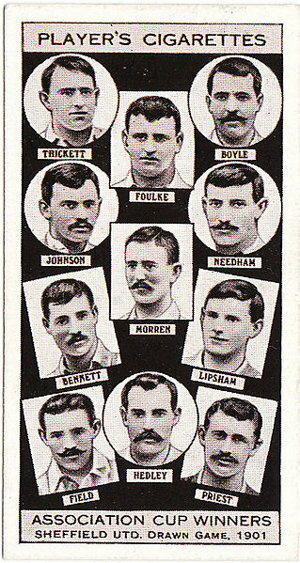 By the turn of the twentieth century, football had become more organised in general around the UK. The Football League had been established and teams were now used to playing against each other in more formal and structured surroundings. Supporters were also more used to the idea of paying to watch football matches, with the result being that more than one hundred thousand people turned up at Crystal Palace in 1901 when non-league Tottenham Hotspur played Sheffield United. When talking about the beginnings of the FA Cup for a modern audience this probably isn’t what anyone means, but that became the first final to be filmed and the first to feature a refereeing decision that was shown to be wrong by the footage. How might Sky Sports have been influence by that turn of events? In a replay after the match was drawn, Spurs became the only non-league side to date to win the FA Cup. You might have imagined that the FA Cup, as with most other organised events, had been suspended during the First World War. There were certainly calls for that to be the case, but the Football Association argued that soldiers and workers deserved the relief that would be offered by the tournament, and so the final occurred in both 1914 and 1915. The latter earned the moniker ‘The Khaki Cup Final’ on account of the number of soldiers wearing khaki uniforms in the crowd. It was to be the last final played until the war was over, with the FA Cup not resuming until 1920. All three of the post-war Cup finals took place at Stamford Bridge, but the home of Chelsea didn’t see its tenants lift the cup when the competition’s denouement was held in their back-yard. Instead, Aston Villa won it in 1920, Chelsea’s bitter neighbours Tottenham did so in 1921 and Huddersfield Town managed it in 1922. That would be the last time that the tournament would take place at Stamford Bridge, thanks to the 1923 opening of its new home, Wembley Stadium. It was known as the Empire Stadium at the time and it’s believed that more two hundred thousand people crammed into the one hundred and twenty-seven thousand capacity venue to see Bolton Wanderers win 2-0 against West Ham. For the 1925-1926 version of the FA Cup, the practice of the teams from the top two divisions in the country getting byes to later in the tournament first began. Things remained much the same in the years that followed, apart from the introduction of the offside rule into football in 1926. The game between Portsmouth and Wolverhampton Wanderers, which the former won 4-1, was the final one before the competition was suspended again, this time for the Second World War. Interestingly, when hostilities off the football pitch ended and the hostilities on it resumed in 1946, the FA Cup final was won by the same 4-1 scoreline, though it did require extra-time for Derby County to rack up the goals against Charlton Athletic. In the 1966-1967 season, the FA Cup featured substitutes for the first time. In all of the 1957, 1959, 1960, 1961 and 1965 finals, at least one player had broken a bone and had to leave the field early, so the introduction of substitutes was designed to provide more balance to matches. Other than celebrating such occasions as the one hundredth anniversary of the competition in 1972 and the the fiftieth anniversary of using Wembley as a stadium the following year, not much changed until the 1990s. That was when a fourth round tie between Arsenal and Leeds United had to be replayed not once but twice, leading the FA to introduced a rule that extra-time and penalties could be used to decide a tie after the second replay. Another first occurred in 1993 when both of that season’s semi-finals were played at Wembley. That was because the two matches were derbies, with Arsenal and Tottenham competing in one and the two teams from Sheffield going head-to-head in the other. 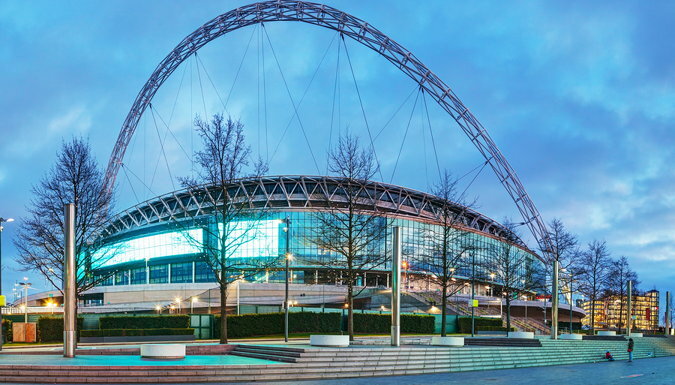 It was something that the Football Association would later introduce for all semi-finals, principally as manner for the New Wembley to make more money. Six years later and replays were abandoned altogether for the FA Cup semi-finals and final, with extra-time and penalties taking place from 2000 in order to stop supporters having to spend too much money watching the game over and over. It came the year after Manchester United opted not to play in the FA Cup because they wanted to participate in the inaugural FIFA Club World Championship, becoming the first ever FA Cup holders not to defend it. The 2000 FA Cup final was the last one to be played in the original Wembley stadium, with Chelsea beating Aston Villa 1-0 before the tournament’s crowning match was moved to the Millennium Stadium in Cardiff. This was because the FA had decided to completely overall the ground in order to make it a more up-to-date stadium. The final moved out of England for the first time, being hosted in Wales between 2001 and 2006. The first winner of the trophy in its new home was Liverpool, who beat Arsenal 2-1 to lift it. Liverpool also won the competition in its final appearance at the Millennium Stadium, defeating West Ham on penalties in what is commonly referred to as ‘The Steven Gerrard Final’ after the Liverpool captain’s Man of the Match winning performance. 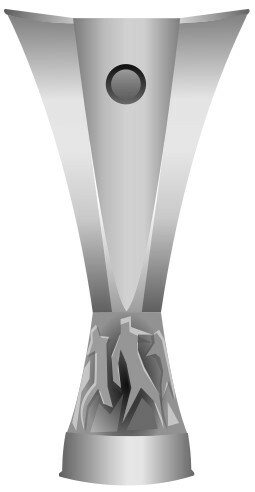 At the time of writing, the Merseyside club have yet to win the trophy since it returned to London and the new Wembley. Chelsea beat Manchester United 2-1 in the first cup final since it left Cardiff, winning the tournament three times in the five seasons that followed. In fact, since Wembley re-opened only Manchester City, Wigan Athletic and Manchester United have stopped the trophy from heading to either Stamford Bridge or the Emirates. At this point it’s important to mention the Hillsborough Disaster, which occurred on the 15th of April 1989. Liverpool were playing Nottingham Forest in the FA Cup semi-final and Sheffield Wednesday’s home ground of Hillsborough had been selected as the venue to host the match. Both Liverpool and Forest’s hierarchy had objected, with the stadium having been the location of previous FA Cup semi-finals that had resulted in supporters getting injured. The FA ignored their complaints, even when both clubs said that their supporters had been given the wrong parts of the ground according to the two city’s geographical location. As kick-off to the match approached, Liverpool supporters were struggling to get into the ground as the turnstiles were antiquated and couldn’t cope with the number of people attempting to get into the stadium. An order was given to open one of the exit gates and supporters went through. The problem was that no one had thought to direct the people once they entered the ground, resulting in too many people heading down the tunnel that was straight in front of them and into already overcrowded pens. Because football supporters were treated more like animals than human beings in the 1980s, there were mesh fences stopping those at the front of the pens from making it onto the pitch for a reprieve. Instead, the new supporters coming in from the back ended up crushing those at the front and fans soon lost the ability to breathe. All told, ninety-five Liverpool supporters lost their lives because of asphyxiation on the day of the disaster, with another dying later after his family agreed to have his life-support machine turned off. Countless other fans took their own lives because of survivors guilt, with the first inquest into the disaster declaring the deaths to be accidental. No police officers faced charges for the disaster, resulting in a campaign that lasted for more than twenty years for justice for those that died. It culminated in a new inquest that ruled the deaths to be manslaughter. The case is still ongoing at the time of writing. As well as an inquest into the disaster, the FA Cup also resulted in a report from a Lord Justice about what changes needed to take place in order to ensure that nothing like it ever happened again. As well as dismissing the suggestion from the police that alcohol played any part in the disaster as a nonsense, Lord Justice Taylor also exonerated supporters from any blame in what happened. However, he did suggest that football grounds in England should become all-seater venues, which had far-reaching consequences not only in the FA Cup but for football in general.